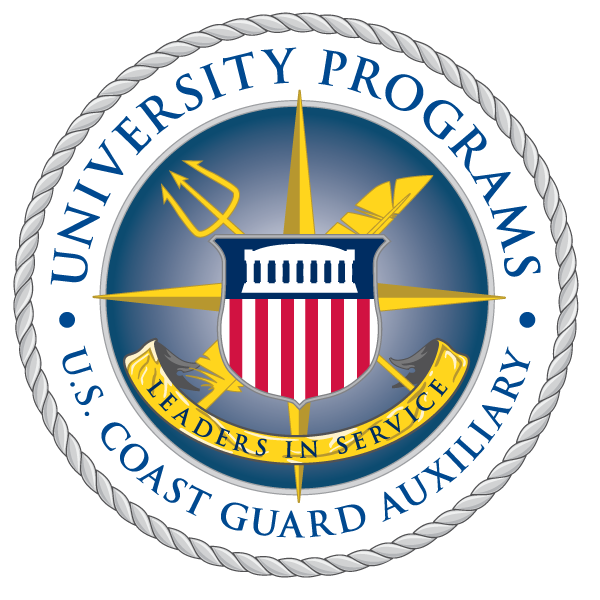 Article by Alexandra LaRiviere, AUP at The Citadel and Summer 2012 Coast Guard Headquarters Intern. On June 6, 2012, I had fantastic opportunity to get underway on the USCGC James Rankin in the harbor of Baltimore, MD. The mission was to retrieve and replace a sunken buoy that was allegedly hit by a large boat. Pictured Right: Alexandra LaRiviere with the USCGC James Rankin. About 30 minutes into the journey, we attempted to locate the buoy with side scan sonar called the Towfish. The sonar identified the buoy’s location, and then the crew dropped a grappling hook to drag for the chain. Once the chain was hooked, a giant crane was brought into service to retrieved the sunken item and raise it to the surface. The water contained within the buoy nearly doubled its weight. What was then visible was amazing. We saw that the buoy’s side was completely torn up, the body of the buoy had three gashes in it, and the cage was bent. Water drained out of it onto the deck of the cutter in a continuous stream for about 10 minutes. It had clearly come in contact with some type of vessel. The crew replaced the damaged unit and brought it back to shore for processing. Pictured Right: Alexandra LaRiviere in front of damaged buoy. As an added bonus - on the ride into port, I received a tour of the engine room and the bridge. My sincerest thanks to LT Zuckerman, the Commanding Officer, and his crew for the opportunity to ride aboard the Rankin and experience a mission with them. I was able to observe once again the great teamwork and leadership that the Coast Guard has working diligently for our country.